Drivers, Cyclists, Pedestrians: Who has the Right of Way? Drivers, Cyclists, Pedestrians: Who has Right of Way? Who Has Got the Right of Way? No one particularly has got the right of way by law, but it has indicated on which instances someone has to yield right of way. Every driver, cyclist, pedestrian, motorcyclist, and moped rider has got a responsibility to avoid causing a collision. Yielding the right of way means letting someone go before you in traffic and this rule is the one that governs most intersections where there is a lot of traffic. For example if you are stopped at an intersection with another driver that is on your right and across the street, then you have to yield the right of way to that driver. If you drive up to an uncontrolled intersection, then the driver that arrives last has to yield the right of way. If both drivers arrive at the same time, the driver on the left hand side has got to yield the right of way. Bicyclists are considered to be drivers of vehicles, and are therefore subjected to the same rules as car drivers, while pedestrians have to always yield the right of way at crosswalks and intersections. If you are turning left at an intersection, you will have to yield to traffic that is oncoming, and while merging into traffic, never attempt to merge unless the driver behind doesn’t slow down. All drivers are required to yield right of way to emergency vehicles, school buses, construction workers and vehicles. If two drivers arrive on a mountain road, where there is room for only one of them to pass at a time, the driver that is going downhill has to yield right of way. The driver of the vehicle going downhill has to provide sufficient space for the other vehicle to pass through. 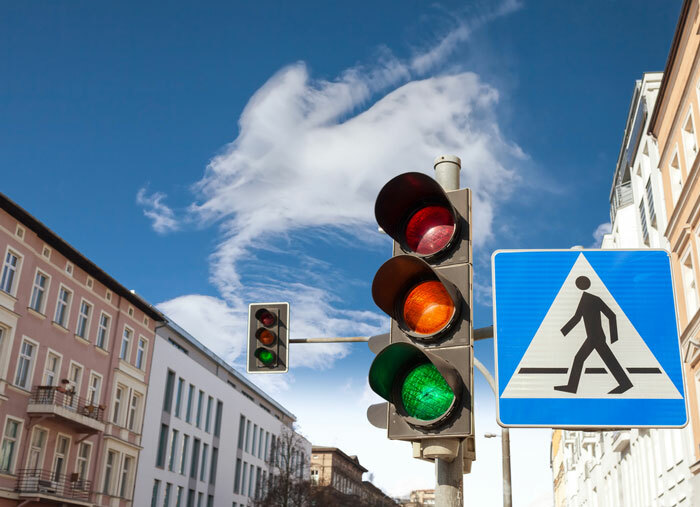 All drivers are required to have a firm understanding of the driving rules and regulations of their area and should know when to yield right of way at intersections and thoroughfares in order to avoid causing accidents. All drivers should be conscientious and courteous towards other drivers and should yield right of way when necessary in order to avoid crashes. Drivers should never attempt to force their way into traffic or overtake recklessly in order to avoid causing accidents.